With the rising concerns growing with privacy, people tend to lock their handsets with a lock, which is normally a numerical pin, a pattern lock, or fingerprint. And since a number of users have Android smartphones, particularly Samsung, they tend to protect their handset with the help of a pattern. But most of the times, people tend to forget this pattern due to their busy schedule or some or the other reasons. And hence, today we will help you know how to unlock Samsung Galaxy/Note pattern lock. Let us begin. Here are some methods that can help you if you are facing "forgot pattern lock Samsung" issue. If you are a big Samsung fan, you must be aware that the company has installed all its handsets with "Find My Mobile" service. This feature is used to find the Samsung device. But it can also be used to bypass the lock. Here are the steps that you need to follow to solve "Samsung forgot pattern" issue. Step 1 Begin with logging into the Samsung account that you have set up on your handset on a web browser. Step 2 Tap on "Lock My Screen" option and enter new pin. Step 3 Next, tap "Lock" option present on the screen at the bottom. This will change the old pin to the new pin that you have entered, allowing you to bypass pattern lock on Samsung. One more way to know how to bypass pattern lock on Samsung is using Android Device Manager. In order to use this feature, Android Device Manager must be turned on your smartphone. If the feature is turned on, here that steps that you need to follow. Step 1 Begin by visiting google.com/android/devicemanager on a different browser. Step 2 Sign in using your Google account that you have set up on your handset and select the handset you wish to unlock. Step 3 Tap on "Erase" button to erase Android pattern. This will also erase all content from the device. If you need to bypass pattern lock Samsung, then using Tenorshare 4uKey is the best option that you have. 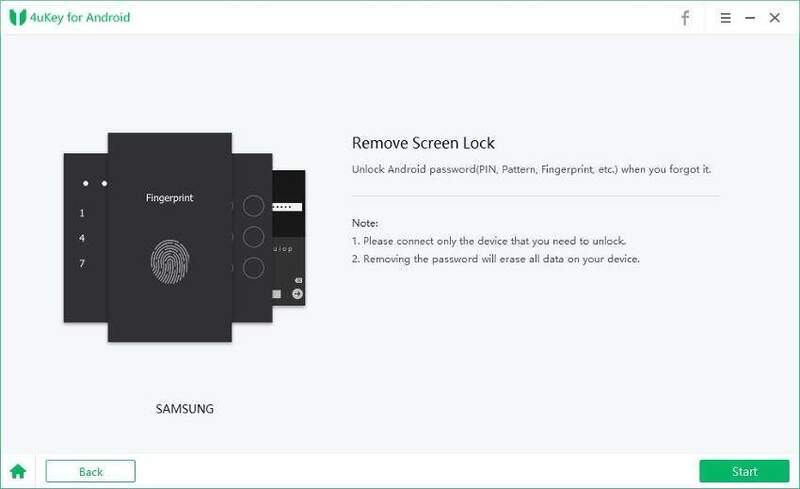 This tool can unlock screen lock on Samsung Galaxy 10/9/8/7/6/5, including pattern, pin lock, fingerprints, or password with just a single click. In addition to this, the tool is very easy to use and hence this is the reason as to why it is favored by a huge chunk of users all over the world. Here are the steps that you need to follow if you are one of the users complaining: forgot my Samsung phone pattern unlock code. 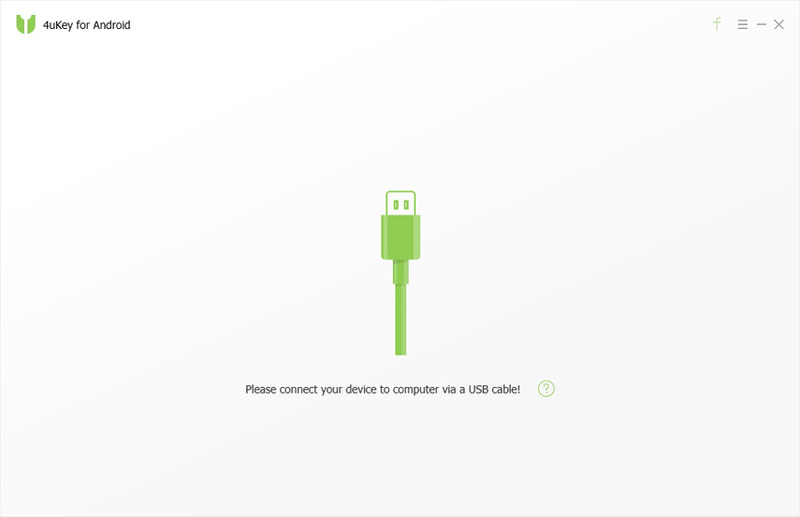 Step 1 First, connect your handset to the PC using a cable. The tool will detect your handset and install the driver on your handset. Step 2 Once your device is connected, it will prompt you about it. Step 3 Next, you need to tap on "remove" button to remove the passcode. This process will also erase all your data and take some time. Step 4 Next, follow the onscreen instructions to enter into recovery mode. Once in the recovery mode, follow the instructions to factory reset and restart your device. Once the device is restarted, your device will have no pin or pattern, solving your "forgot my screen lock pattern on Samsung" issue. If you are facing the "forgotten pattern password Samsung galaxy" issue on your handset running on Android 4.4 and lower, then it can be solved too. All you need to do is enter a wrong pin or pattern for 5 or more time and select "Forgot Pattern." Then you need to enter Google account credentials and you are set to go. This method goes a bit deep and can be difficult to understand. But still if you want to try it, here are the steps. Step 1Connect your handset to the computer. Step 2 In ADB directory, open Command prompt. Type the "adb shell rm /data/system/gesture.key" command and hit Enter. Step 3 Restart your handset and your lock screen will be gone. That's it. This method is used if you are using a 3rd-party lock screen. All you need to do is follow the given below steps. Step 1Boot your device in Safe Mode. Step 2This will disable the third-party lock screen temporarily. 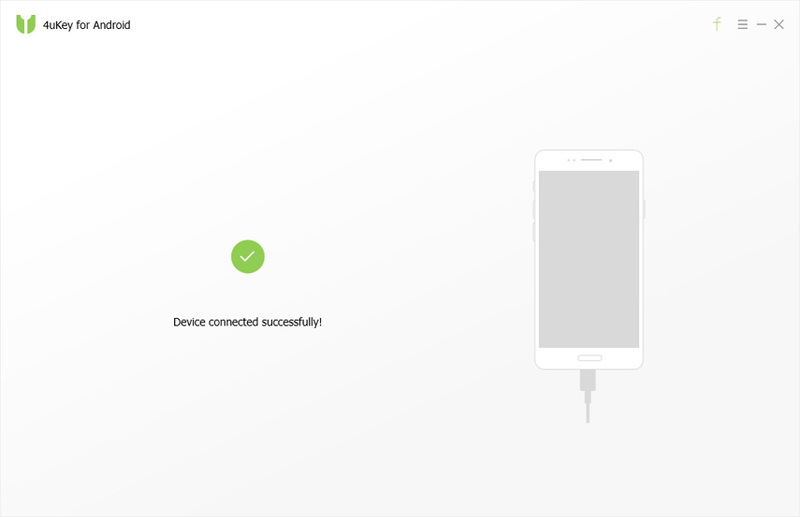 Step 3Delete the 3rd-party lock screen and reboot your device. Crashing the lock screen can also be a lifesaver if you are one of the users complaining: forgot my pattern lock in Samsung. This method only works on handset operating on Android 5.0–5.1.1. All you need to do is click the emergency call option on the lock screen and enter 10 asterisks (*). Now copy and paste these asterisks in the same field until there is no space for entering new character. This will crash the lock screen and will allow you the access to your phone. Last but not the least, factory reset remains option that will erase all your data including the pattern and will make your handset work as a new one. Step 1Open the Bootloader menu by pressing Volume down and power button at the same time. Step 2Enter the recovery mode from the menu and select "Wipe Data" or "Factory Reset" option. Having said this, it is clear from the above solutions that using 4uKey - Android Password Unlocker is the best option if you forgot pattern lock android Samsung. If you feel the article was helpful, let us know by commenting below.